That’s up from 456 million in the previous quarter, and it’s an increase of around 78 percent from the 296 million mobile-only users that Facebook saw during the same period last year. That also represents about 38 percent of Facebook’s 1.39 billion monthly active users. 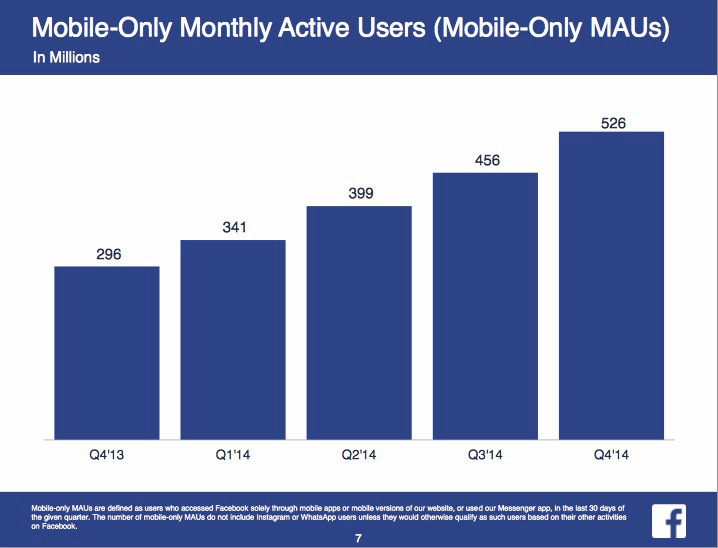 In all, Facebook reported about 750 million daily active mobile users, and 1.2 billion monthly active mobile users. Another indication that mobile is indeed a big deal. This entry was posted in Information Technology and tagged Facebook, mobile devices. Bookmark the permalink.